Constantia Organic Finishes provide the toughest, longest lasting protection for interior and exterior surfaces. Since 1977 Constantia have been creating some of the world’s finest furniture. Each piece is finished using the Constantia Organic Finishes range. The organic finishes are non-toxic, delightfully easy to use, provide the greatest enhancement of colour and figure and ensure the longest last of all products trialled over 45 years. Commissioned to design and build the Central Table and Hansard Desk for the New Parliament House in Canberra, Constantia Organic Finishes have been used throughout since 1988. Australia wide speedy delivery directly to you. Constantia Organic Finishes are ideal for all applications from home DIY to large scale commercial building projects. With over 45 years of experience we offer the best advisory in the business and welcome all inquiries. Constantia Organic Finishes have all your projects covered with Red Oil, Grain Filler, Chinese Wood Oil, Seedlac, Final Cut, Cleaner Restorer and Lincoln Furniture Wax. We also stock an exclusive range of specialist products and welcome all enquiries. Order now on our store page and have them shipped anywhere in Australia. Constantia was selected to design and build the Central Table & Hansard Desk in Australia’s New Parliament House. These magnificently handcrafted pieces of furniture and other items in the house are finished and maintained with Constantia Organic Finishes. Read more in this article. I believe that the Chinese Wood Oil is probably the best natural oil that I have ever used. For at least two decades I have used Constantia products and the results have been exceptional. For heavy utility areas such as timber kitchen bench tops there isn’t anything better. Not only is the surface impenetrable, it looks terrific also. George Giannis, Internationally acclaimed Artist, Fine Arts Restorer and French Polisher, Melbourne Victoria. Port Lincoln, South Australia 5606. Everything that has been created in nature has proportion, ratios, harmony and balance. The very essence of beauty and perfection. These are the principles that are used by Bernie and Summer Koker at Constantia. The magnificence and perfection of their timber creations is unsurpassed . 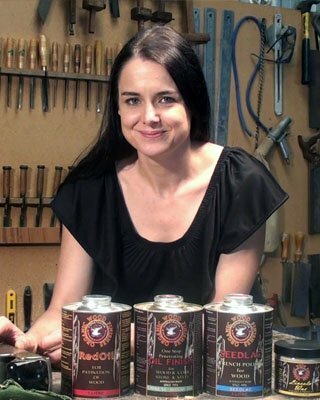 I have been using their incredible products in my furniture restorations for over 40 years with complete satisfaction. We have been using the Chinese oil on the steel and timber on our boats for over 13 years. It is the most durable product we have found against the sea and salt air and the easiest to maintain. My students often choose to use Chinese Wood Oil on their quality timber projects. Of course, the beautiful look and feel of the finished job is the main factor in their decision but also the ease of application and its low toxicity makes the job easier for all of us! Over the years, Summer has been extremely helpful in providing advice to my students and me regarding the range of excellent finishes and their application methods. Constantia is a great company to deal with for top quality and impeccable service. I remember my father using Constantia products on all his woodwork projects when I was a child. They were always a brilliant product and gave a beautiful long lasting finish to the timber he used. I still have some of those items and they look and feel as good as new. I was so pleased to hear that Constantia was still in business after all these years when I was looking for a product to give new life to some of my furniture. I would highly recommend the Constantia name and product for all timber items. I have been using Chinese Wood oil and Red oil for 21 yrs +.The wood oil is easy to use and gives an enduring natural finish to the timber. I often use red oil as a first coat to enhance the grain. When pieces need a touch up over time I rub them over with very fine steel wool and then re-apply the required coats of Chinese Wood oil. I have used Constantia finishes throughout my boat. The products are pleasant and easy to use and have held up well against the elements. Maintenance is minimal. Such a skill – a talent to be recognised nationally! Thank you – a credit to your skill and knowledge. Fascinating tour – informative and interesting. Amazing work. Detail to finishing was mind blowing. Gorgeous craftsmanship. Great part of local community.